It's about getting the right kind of traffic to your site, and strategically driving them to take action. Know from where your traffic is coming. Know on what platforms your site is being viewed. Get smart about your online strategy. 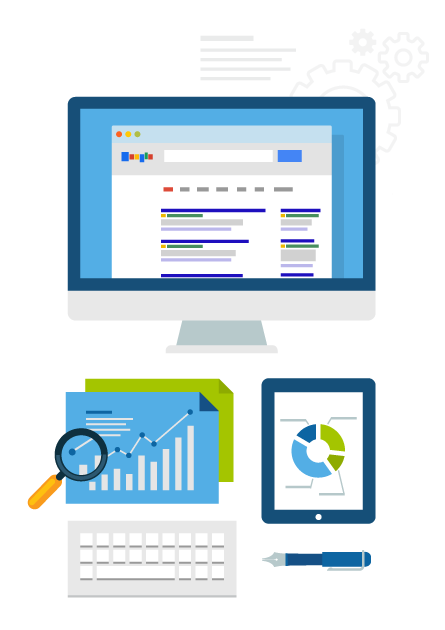 Searchography audits provide a clear and effective path to increasing your website's visibility with search engines. We can deliver customized SEO plans before you commit to expensive, long-term commitments. Don't lose 50-70% of your traffic when you build a new site! Let us help you build on your existing traffic, not just recover it. Searchography approaches ongoing SEO with up-to-date best practices in mind. Our comprehensive approach adapts with the ever-shifting search engine algorithms. Search Engine Optimization is NOT magic and there is no silver bullet. Searchography is on a mission to bring TRANSPARENCY to search engine optimization. It's time to cut through the fog other SEO companies create to hold your brand hostage for thousands of dollars a month. We are here to help you take off the blindfold! Our affordable approach to playing the Search Engine Game, not trying to Game the Search Engine system.